Tech companies often like to one-up one another with the world’s fastest, biggest, smallest, or lightest of something, and cameras are no exception. 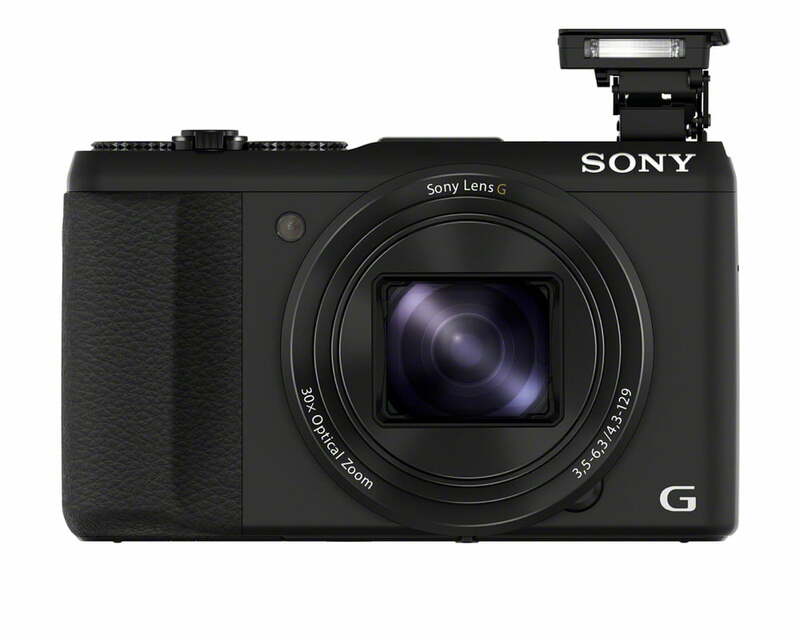 Sony today announced the Cyber-shot HX50V, the world’s smallest and lightest camera with a 30x optical zoom lens (that’s according to Sony, of course, not us). 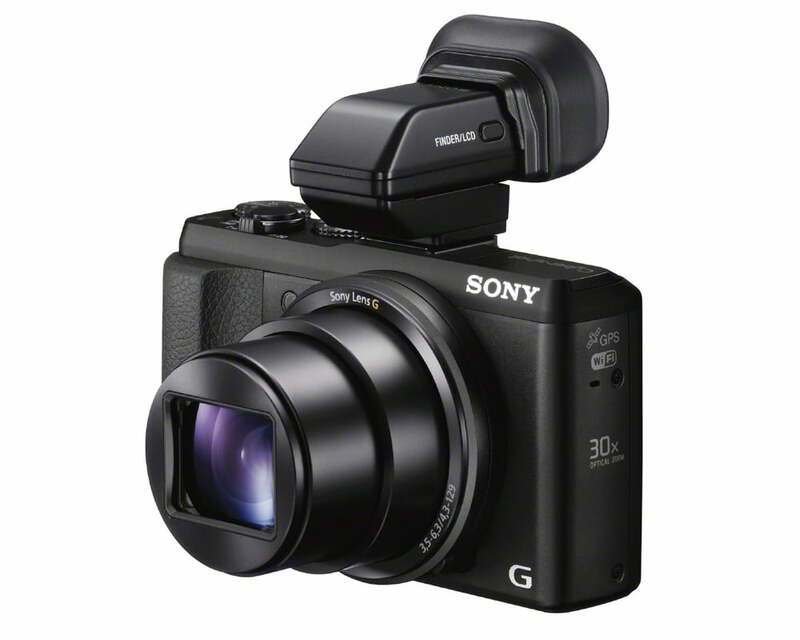 Smartphones are invading the point-and-shoot category at the low end, but the HX50V is one way Sony is adding some excitement into their pocket cams at the high-end. 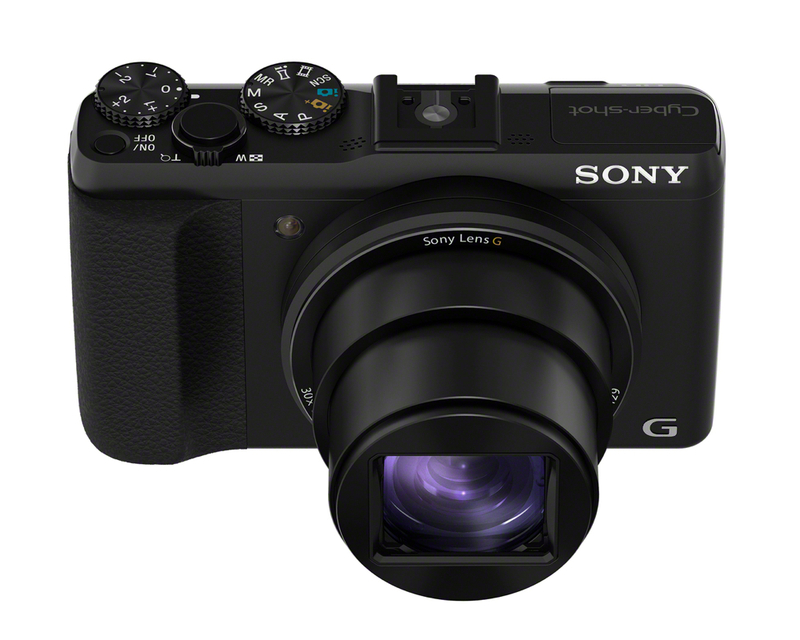 The HX50V weighs 9.6 ounces and measures 4.4 x 2.6 x 1.2 – Sony dubs it “the perfect travel companion.” So, what has Sony crammed into this box in addition to the mega-zoom Sony G lens (24-720mm 35mm equivalent, f/3.5-6.3 aperture, 30-1/1,600 shutter speed))? 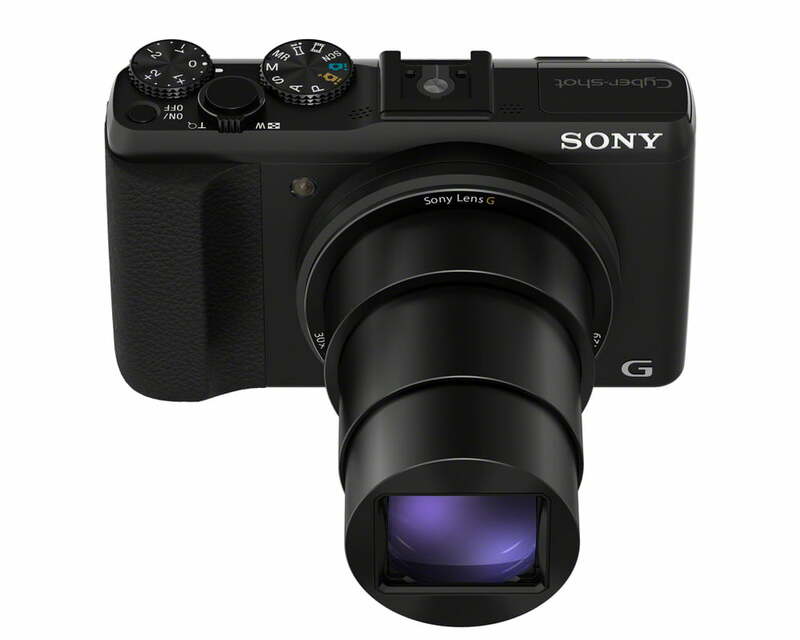 You’ll find a 1/2.3-inch 20.4-megapixel Exmor R CMOS sensor, optical image stabilization (Optical SteadyShot, as Sony calls it) even at full telephoto (twice as stable with faster focusing than last year’s HX200V), Sony’s BIONZ image processor, high-speed autofocus (twice as fast as the HX200V), a 3-inch LCD (921K dots, not touch-capable), and built-in Wi-Fi. Besides wireless transfers to a computer or a smart device running Sony’s PlayMemories Mobile app (iOS and Android), you can also use a smartphone or tablet for remote operation. There’s also built-in GPS for geotagging your photos. 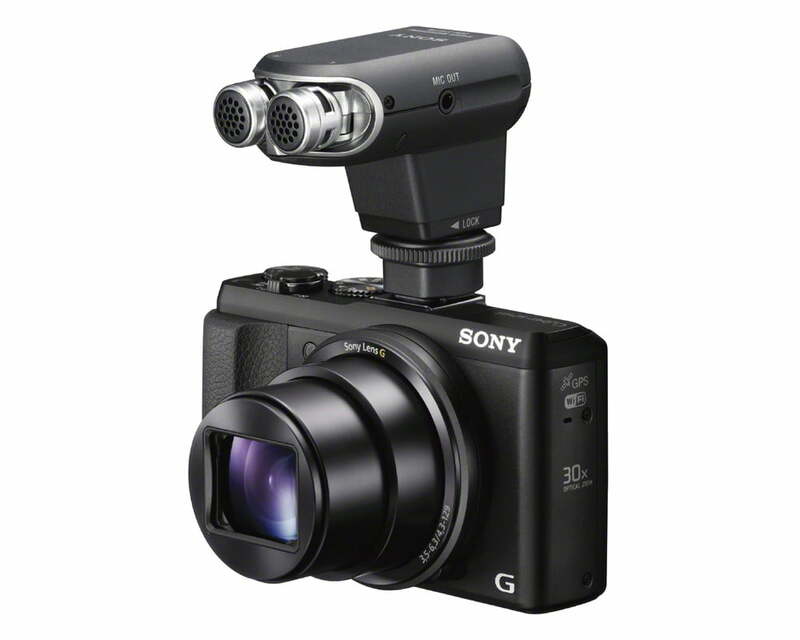 While the HX50V is a point-and-shoot, there are some advanced features for users who want more control. 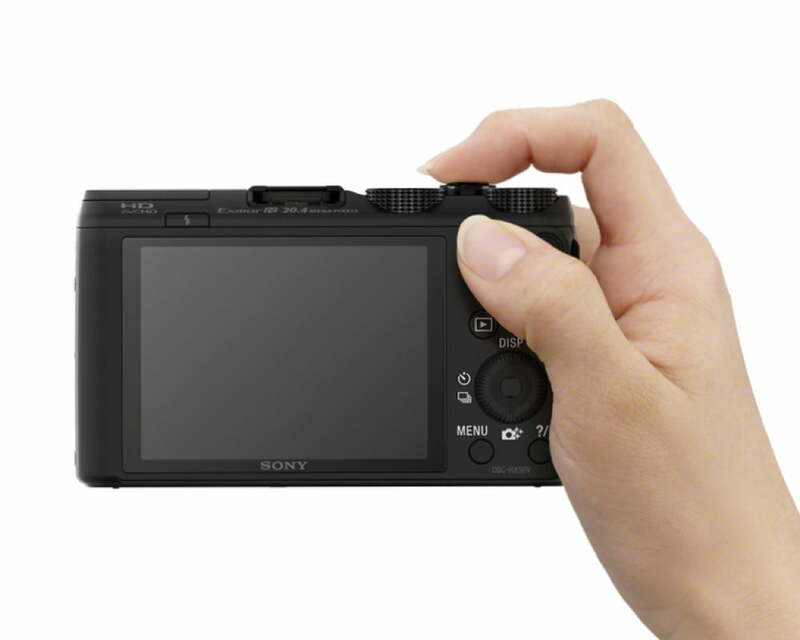 With rangefinder design cues like a rubberized grip, the camera has a mode dial for quickly selecting a shooting mode and a separate dial for exposure compensation. 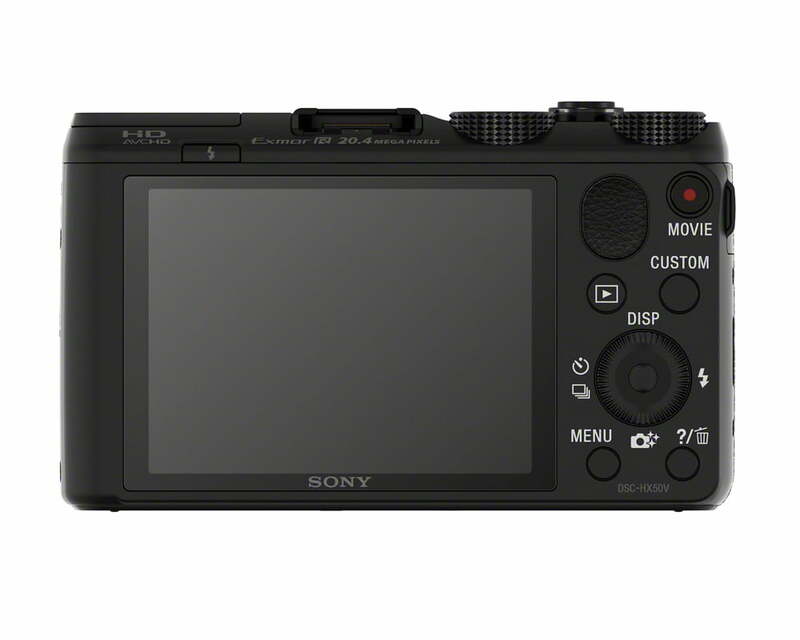 Other features include 5-blade aperture to create that smooth defocusing effect (bokeh); ISO up to 12,800; 10 frames-per-second burst mode; Sony’s new Multi Interface Shoe to add on accessories like an electronic viewfinder, flash, or microphone (including some made for Handycam camcorders); a new battery that delivers 400 photos before recharging; and Full HD 1920 x 1080 video capture at 60p. 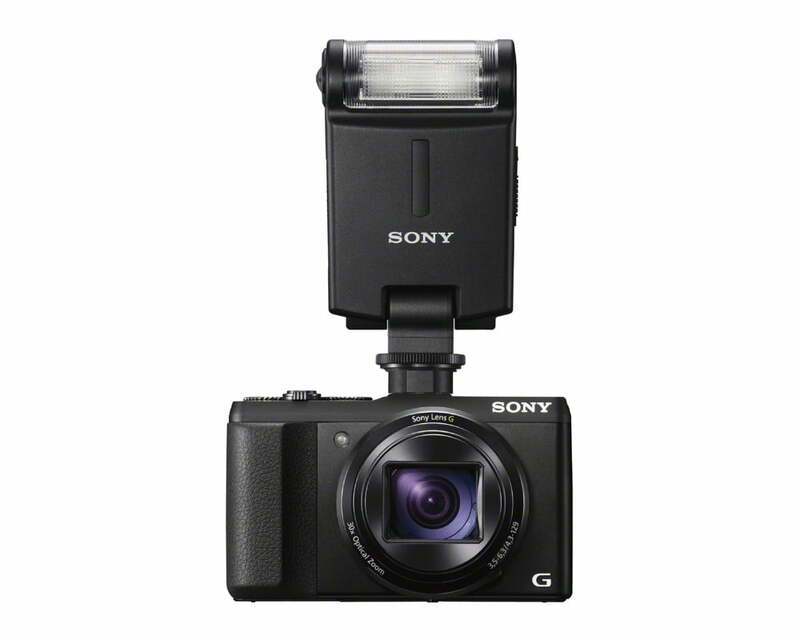 According to Sony, the HX50V is compatible with their Triluminous Color tech, which means you can view more vibrant colors when the camera’s hooked up to a compatible Sony Bravia TV. 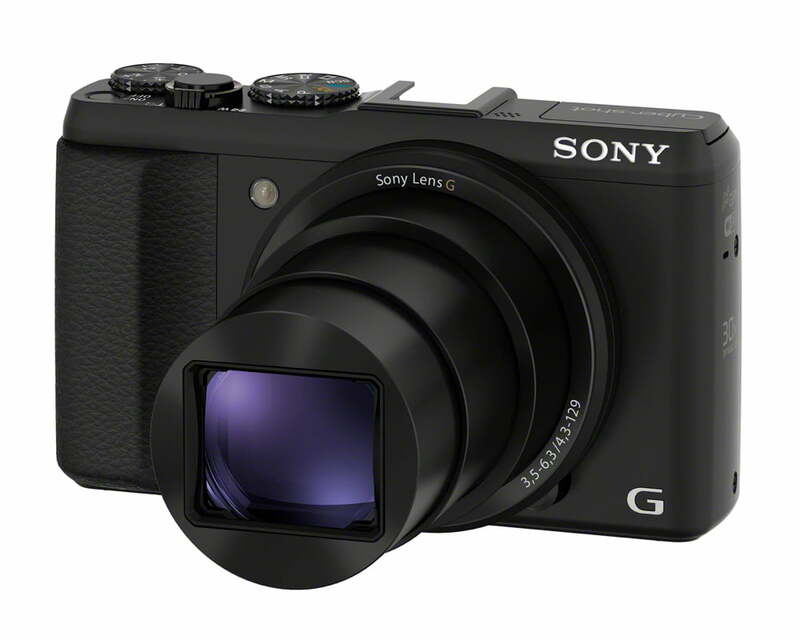 The camera is due out next month, and will list for $450. 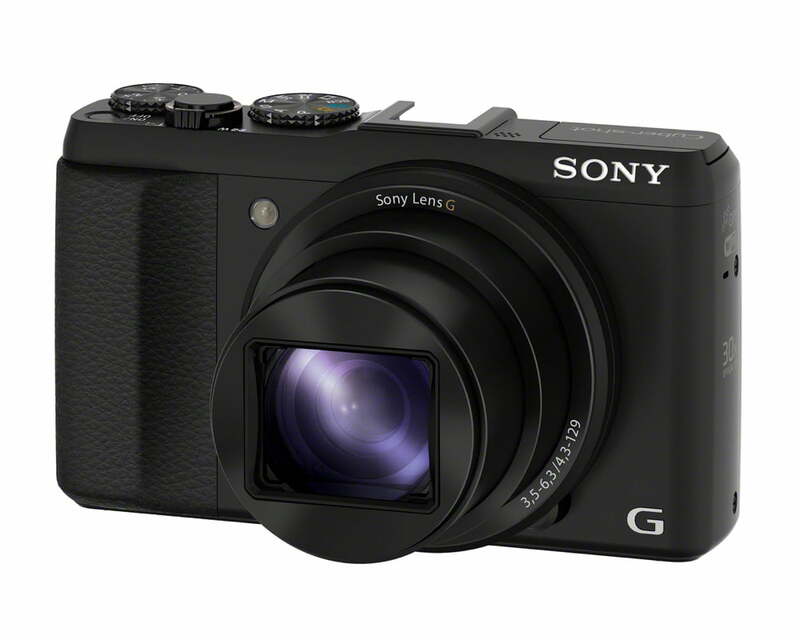 Since it’s small, light, and full-featured, perhaps you wouldn’t mind carrying both a smartphone and a camera.